On Monday October 17, 2011, Anish Kapoor’s exhibition, organized by the Milan City Council and by the artistic production company MADEINART, curated by Gianni Mercurio and Demetrio Paparoni, hosted in the Fabbrica del Vapore an exceptional lecture by Lama Ole Nydahl. This was open to the public and was titled Form and space inseparable, the experience of the nature of mind. Lama Ole Nydahl, the danish buddhist teacher and first westener to become student of the XVI Karmapa, the most important Lama of the millenary Karma Kagyu buddhist school, will be the one to confrontt with the monumental site-specific Dirty Corner installation. Lama Ole Nydahl was able to transmit the essence of the buddhist teachings beyond the ritual and cultural elements with which they have been preserved in Tibet for twelve centuries without transforming the philosophic heritage. The lecture, organized by MADEINART in collaboration with the Associazione Buddhismo della Via di Diamante and which was one of the workshops planned to take place in the Fabbrica del Vapore during Anish Kapoor’s exhibition, had two main themes: “The mind is the starting point and the point of arrival” and “Form is space, space is form”; it was a unique occasion for highlighting philosophical and conceptual themes which bring Kapoor’s work into contact with the teachings and the meditation practices of the Karma Kagyu school. In fact Anish Kapoor has been studying Buddhism and practicing meditation for years: his artistic interests – which are primarily philosophical researches – are focused on humanity and on self-awareness; on the mind and the experience of the things that surround it; and on the universality of time and space. The works of the Indian artist, like Buddhism itself, are actually an experiential journey. Dirty Corner, conceived to occupy the whole of the space of the Fabbrica del Vapore’s “Cattedrale” area, was constructed in such a way that it could not be appreciated from a single point of view. The only way to experience it was to walk inside it: almost sixty meters to be travelled through from light to twilight, to the deepest darkness. Moreover, the earth which slowly covered the external central part of the work and became one with it, underlined – at a metaphoric level – a unitary conception of the world. 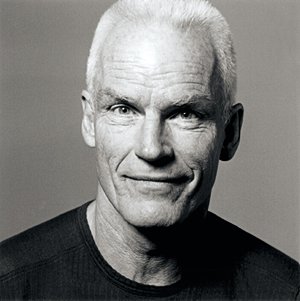 Lama Ole Nydahl (Copenhagen, 19 March 1941§9 studied philosopy, English and German at the Copenhagen University in the U.S., in Tübingen and in Munich. His first contact with Buddhism was in 1968, during his honeymoon. From 1972, he has been teaching in more than 40 Countries and founded more than 600 meditation and study centers in the U.S., Europe, Russia and Asia.